FAQ 1. Is Flossing REALLY Important? Honesty is the best policy! Here at Clatskanie Dental, we won't judge you. We're here to educate you & help you reach your oral health goals! Flossing cleans the surfaces in between the teeth that you can't reach with a toothbrush. The American Dental Association recommends people clean in between their teeth daily, but flossing is just one modality. When used correctly, people can achieve the same oral hygiene using small interdental brushes or oral irrigators (aka 'water flossers"). Cleaning between the teeth can reduce harmful inflammation and therefore lower your risk of PERIODONTAL DISEASE, which is said to affect at least 50% of Americans. Still unsure? Ask your Dentist before implementing any new oral hygiene regimen. FAQ 2. How Can I Make Dental Care More Affordable? To help save you money on dental or medical care! A Health Savings Account is a separate account you or your employer can put money into before taxes are taken out, which may save you money on your dental care. WHO can open a HSA? You may ask your employer if they offer HSA to employees or you may apply for your own HSA through your financial institution or bank. Interested in opening a HSA? Contact your employer or financial institution/bank for more information! FAQ 3. Painless Dental Injections: Fact or Myth? Can getting a dental injection really be a 'painless' experience? At Clatskanie Dental Clinic, we think it can! Let's explore why we believe this and why you should care. We Warm It Up: We warm the dental anesthetic so that it is near body temperature. Your body can interpret cold substances as pain, so this helps the body absorb the anesthetic more comfortably. We Go Slow: We administer the anesthetic very slowly, which gives the body more time to adjust and therefore reduces the chance of it feeling painful. Remember To Breath: Most people forget to breathe during dental injections because they're afraid. We gently remind you to breathe during the injection, which calms our patients. Also, the body interprets pain less during exhalation so you don't feel it as much. Topical Agent: Our topical agent is very effective at "pre-numbing" the area, making the injection even more painless! 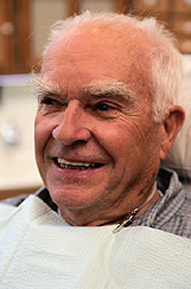 We strive to make our patients feel as comfortable as possible and we know dental fear is real. If you're suffering from dental pain and are avoiding going to the dentist because you're afraid, you're not alone! We want to help you in any way we can. Let us help you by calling us today to schedule a complimentary DENTIST MEET AND GREET so you can get to know us! FAQ 5. Can a Dental cleaning really lower my risk of heart disease? For decades, medical researchers have hypothesized the link between oral health and whole-body systemic health. Is this link still considered ambiguous in the medical community or is there hard evidence to prove that poor oral health leads to systemic deterioration? Recent studies published in the Journal of Clinical Periodontology (2013), Journal of Oral Science (2016) and Journal of Cardiology (2010) suggest the answer is clear in regards to the link between oral health and cardiovascular disease (CVD). Have you or a family member ever been told by your dentist that you need a “deep cleaning?” According to the CDC (2010), 1 in 2 Americans (47.2%) have moderate to severe periodontitis. Once you hit age 65 your odds of developing periodontitis skyrocket to 70%. Periodontitis is caused by harmful bacteria such as Porphyromonas gingivalis that, through multiple complex processes, illicit production of host immune and inflammatory chemicals that lead to the deterioration of the endothelial cells of the gums and subsequent bone supporting the teeth, similar to the way termites eat and destroy wood, potentially leading to serious acute infections and eventual tooth loss. Although periodontitis is an incurable condition, treatment modalities have shown to be effective long-term in slowing the progression and stabilizing the condition. The traditional treatment for periodontitis is non-surgical periodontal therapy, aka a “deep cleaning”, performed at your dentist’s office. Periodontal therapy, depending on the severity and presence of co-morbidities such as diabetes, may include adjunctive treatments such as local antibiotics that help treat the diseased tissue directly or even laser therapy. Heart disease is the number one cause of death in Americans, killing over 600,000 people every single year (CDC 2017). Atherosclerosis, an immune and inflammatory disease that presents as dysfunctional thickening of blood vessels, presents in patients with cardiovascular disease (CVD). The process by which atherosclerosis, or blood vessel thickening, takes place is multifaceted. Basically, as plaques build up in the arteries, endothelial cell breakdown leads to foam cell formation that narrows the blood vessel leading to blood flow blockage. These atherosclerotic plaques may burst open, potentially causing a blood clot that can block the flow of blood causing a thrombotic stroke. The destructive inflammatory processes involved in CVD lead to increased cardiovascular risk markers such as destructive inflammatory blood markers (CRP, fibrinogen, interleukin-6), increased systolic and diastolic blood pressure, increased left ventricular mass (an enlarged heart), and arterial stiffness (thickened blood vessels). Biomarker interleukin-6 is especially correlated with cerebral ischemia (stroke). So, what is the connection between periodontitis and the number one killer, heart disease? Both diseases exhibit a mechanism of endothelial (blood vessel wall) breakdown which leads to increased inflammatory biomarkers CRP, IL-6, haptoglobin and leukocytes, which present as bone and soft tissue destruction around teeth (periodontitis) and blood vessel thickening and subsequent heart blockage or stroke (atherosclerotic cardiovascular disease). The microbiological processes and components involved in both processes are analogous and the bacteria P gingivalis is present in most (64%) atherosclerotic plaques seen in patients with cardiovascular disease. Because research to find a causal relationship between oral bacteria and heart disease is extremely difficult and complex, as technologies improve medical researchers are finding more and more correlative and causative relationships between certain biomarkers. In a 6-month randomized clinical trial, non-surgical periodontal therapy was shown effective in reducing levels of systemic inflammatory markers such as ESR and triglycerides (significant reduction), as well as reduction in CRP and total cholesterol (moderate reduction). Periodontal therapy helps to stabilize these biomarkers up to 6-months post-operatively in patients with periodontitis. In a 2013 study published by the Journal of Clinical Periodontology, non-surgical periodontal therapy (deep cleaning) was shown to significantly reduce all cardiovascular risk markers evaluated, including systemic inflammation plasma markers (CRP, fibrinogen and interleukin-6), systolic and diastolic blood pressure, left ventricular mass (heart enlargement) and arterial stiffness, which lead to a lower cardiovascular risk. Scaling and root planing, aka “deep cleaning”, was shown to produce an even greater systemic reduction of inflammatory markers seen in patients who receive adjunctive therapies such as local administration of antibiotics such as minocycline.